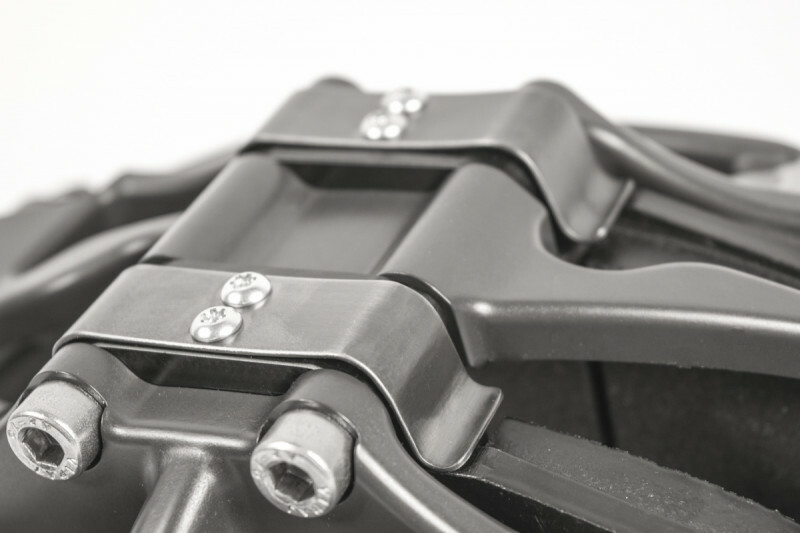 Essex Designed Pad Tension Kit for AP Racing CP9660/CP9661 Caliper | Essex Parts Services, Inc. 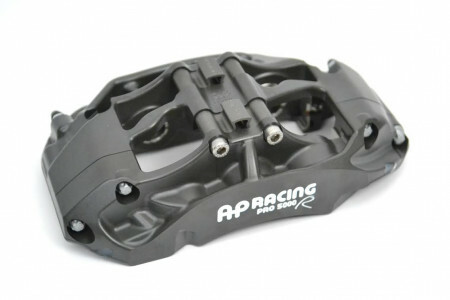 The Essex Designed Pad Tension Kit for the AP Racing CP9660 and CP9661 Caliper substantially reduces pad movement inside the caliper. Each caliper requires one Pad Tension Kit. If you need enough tension blocks for both of your calipers, you need to order two of these kits. 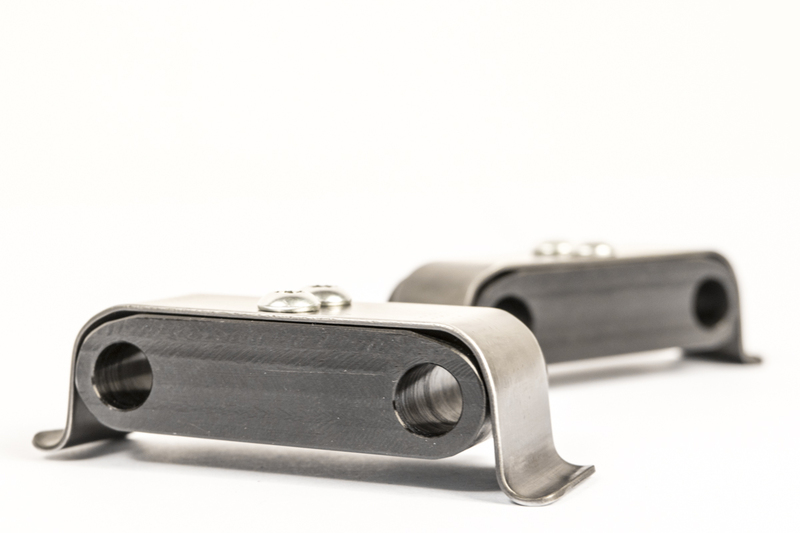 Essex Designed Pad Tension Blocks are precision machined from billet aluminum, hard anodized, and topped with a heat-treated stainless steel spring. 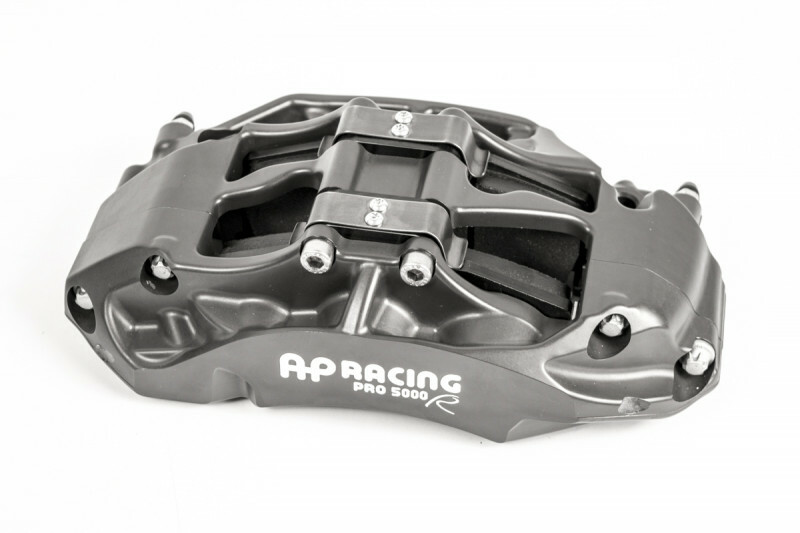 These blocks install in place of the original pad retention blocks in AP Racing's CP9660 and CP9661 caliper. 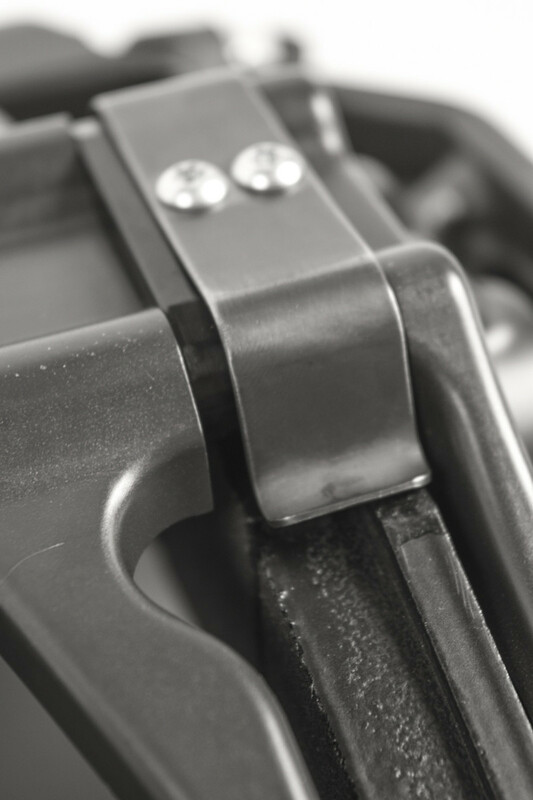 They place a small amount of tension on the top of the pad, substantially decreasing its movement inside the caliper. 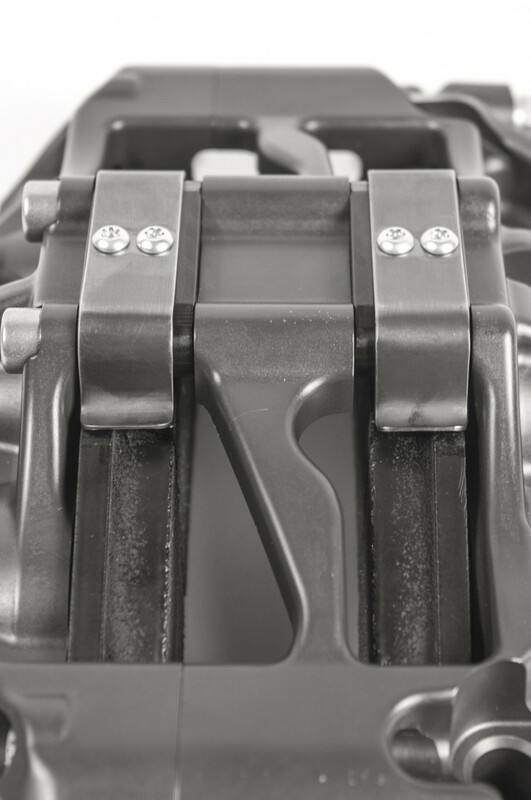 Included in each Pad Tension Kit are two pad tension blocks, which is enough for one AP Racing CP9660 or CP9661 caliper. If you need enough tension blocks for both of your calipers, you need to order two of these kits.